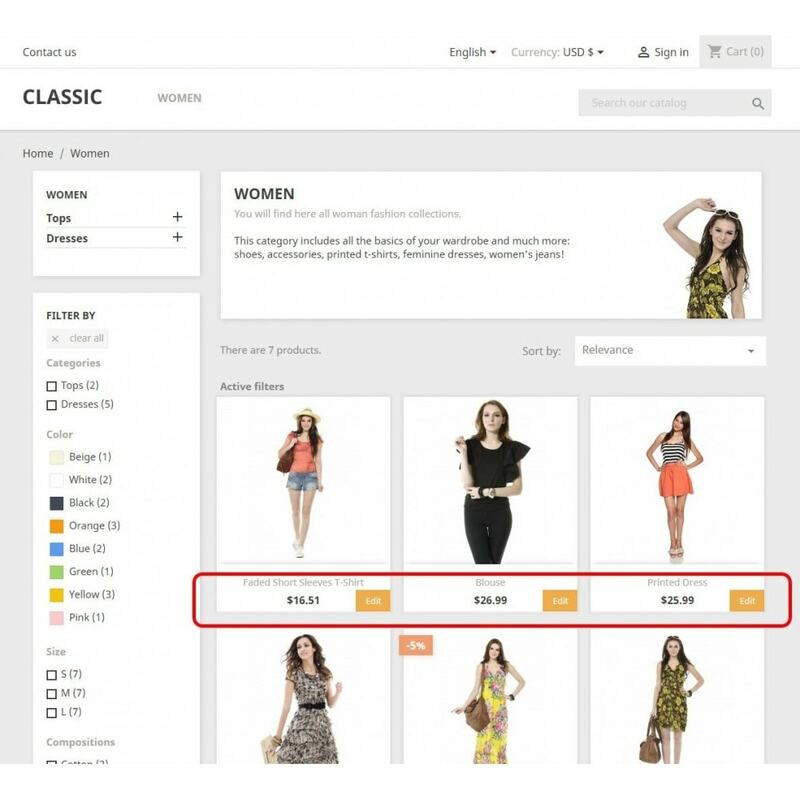 Module adds under each product in presentation view direct link on this product in admin interface. 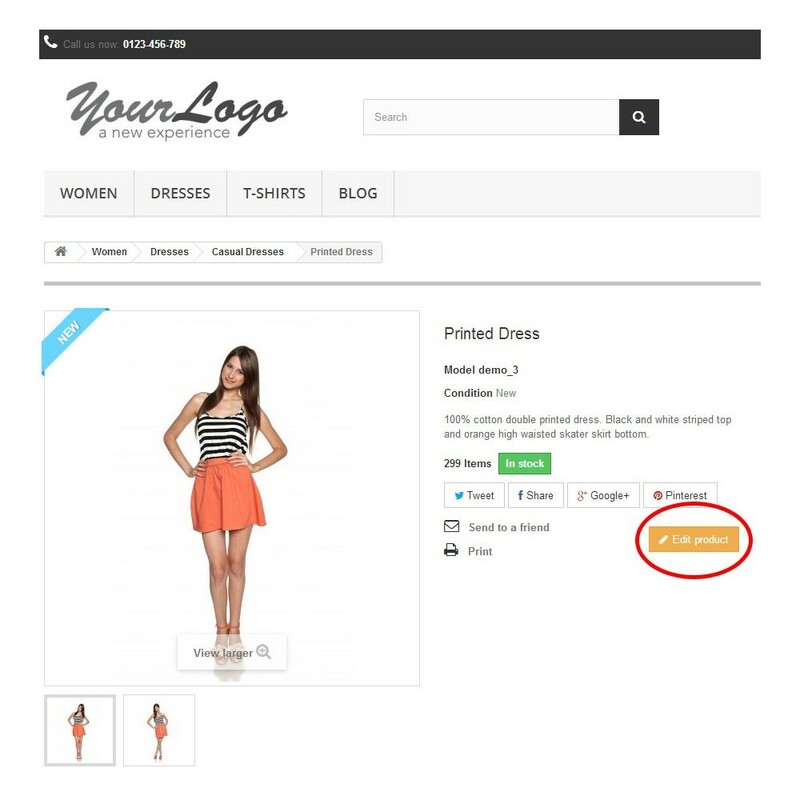 Edit links appears only to authorized and authenticated shop employees. 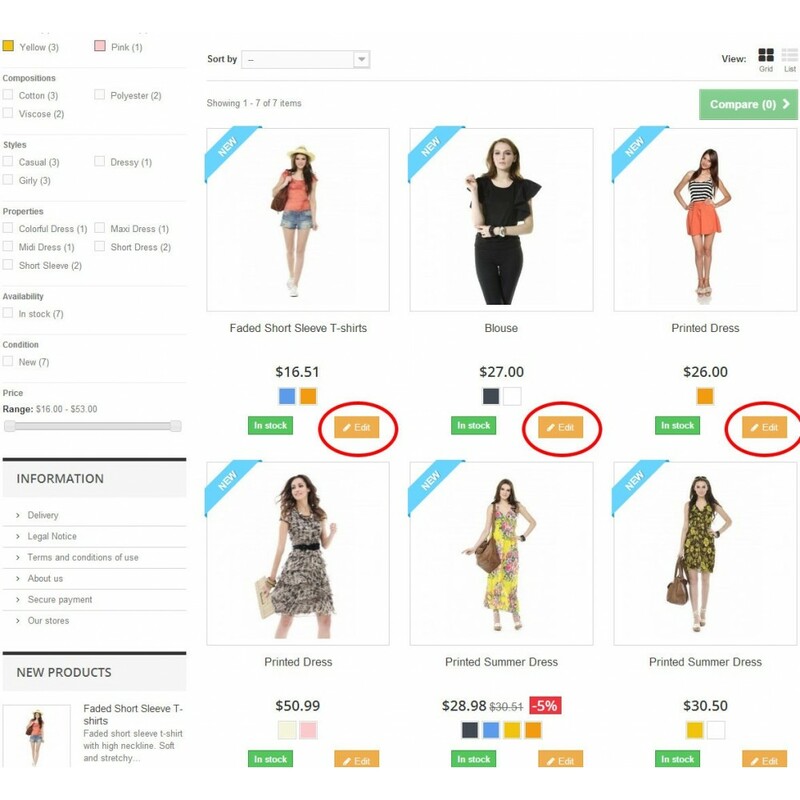 This module adds under each product in presentation view direct link on product in admin interface. Edit links appears only to authorized and authenticated shop employees. 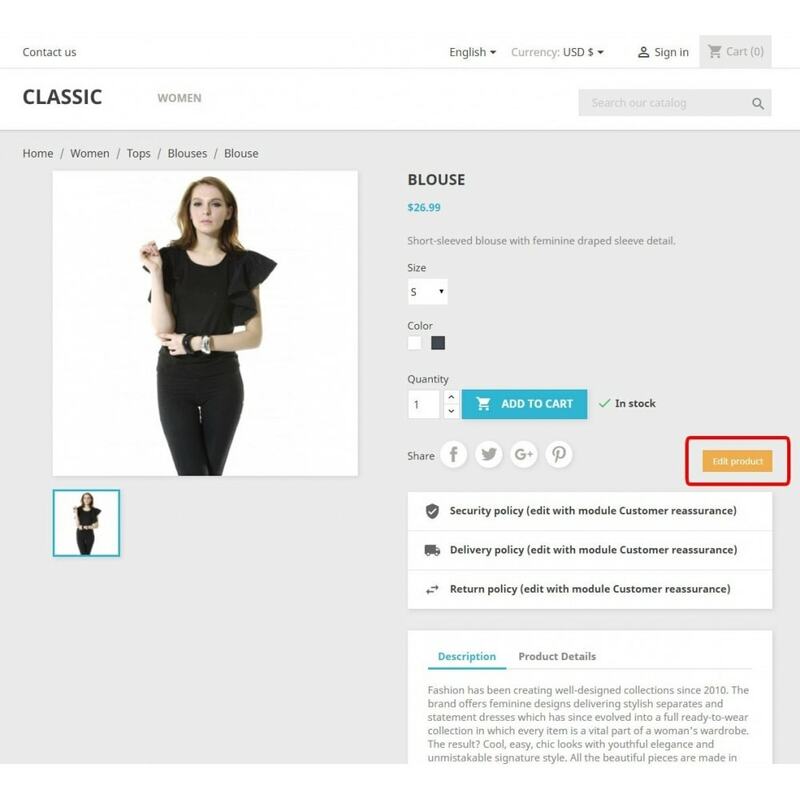 You don't have to look through catalog to find and edit some specific product anymore. 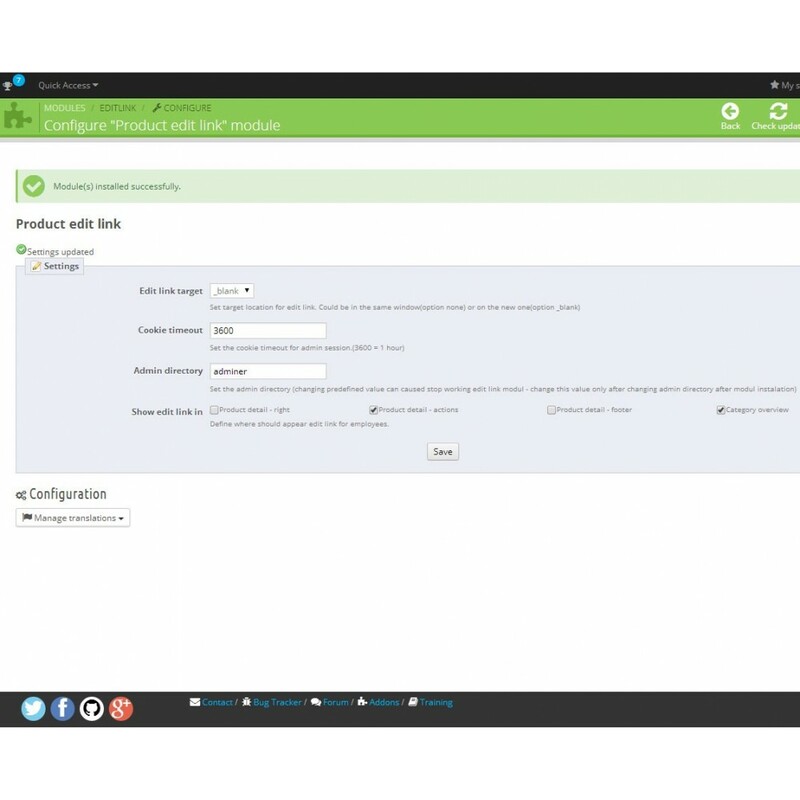 Module is very easy to install (no need for additional settings). 1. Log into admin interface. 2. Go on presentation page and check any product. 3. 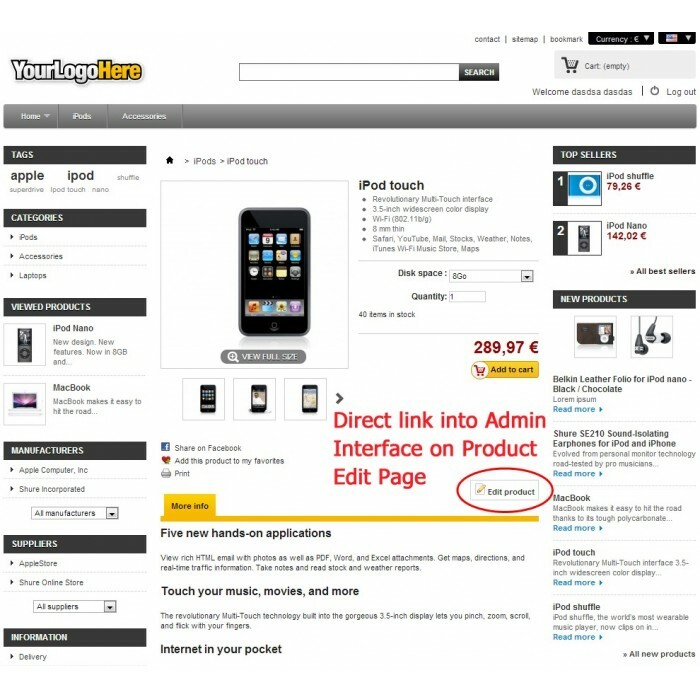 Under each product you can find direct edit link. Finding right product for editing was newer faster and easier! 1. How can I change the text "Edit product"? - Log into admin interface. Go to: /tools/translations - select translate modules and select language which would you like. After editing this text don't forget to save all changes. That's it. 2. How can you make edit link opening in the same window (not new)? 3. How can I change icon for edit link button? - Change the file editlink.gif in /modules/editlink - directory for any other gif icon (don't forget to rename the new file exactly the same). 4. How can I change the timeout for cookie (time after your session clears and you won't be able edit products until logging into admin interface again)? - Log into admin interface. Go to: /modules/module Edit link/settings - set value for 'Cookie timeout' according your needs. 5. How can I change css for edit link button? 6. After I've changed my admin directory plugin stops working. 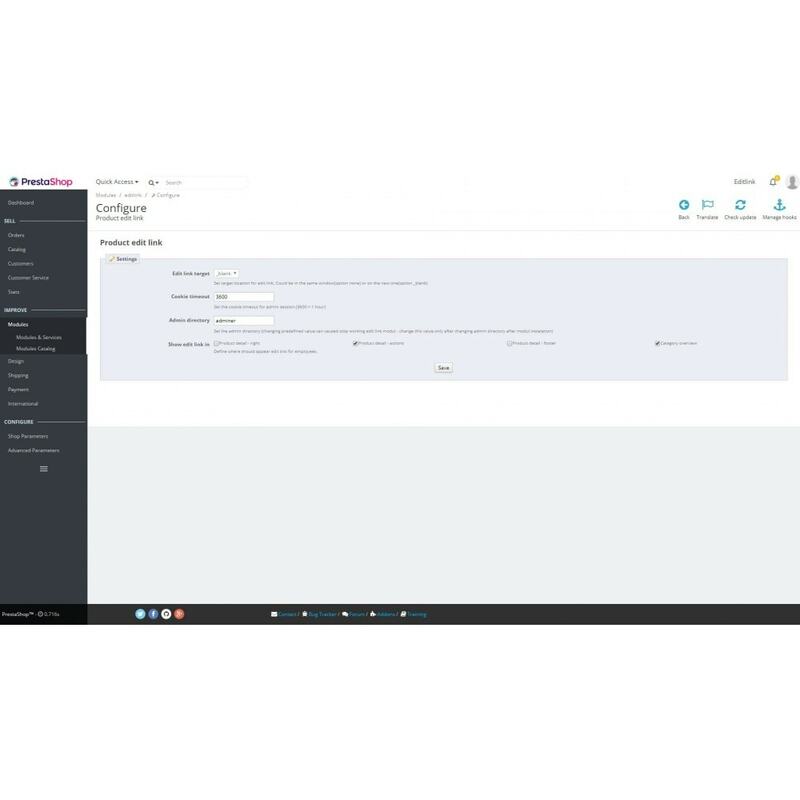 - reinstall the module editlink (uninstall and install again in admin interface) or go to edit link settings (/modules/Edit link - settings) and change the value for 'Admin directory' on new value (name of the changed admin directory). For module modifications or customizations don't hesitate to contact me. Also if you find some bugs please let me know. 1. Download the module Editlink. 2. Copy folder “editlink” on your server into /modules directory. 3. Activate the module via Modules menu. Now you should be good to go. 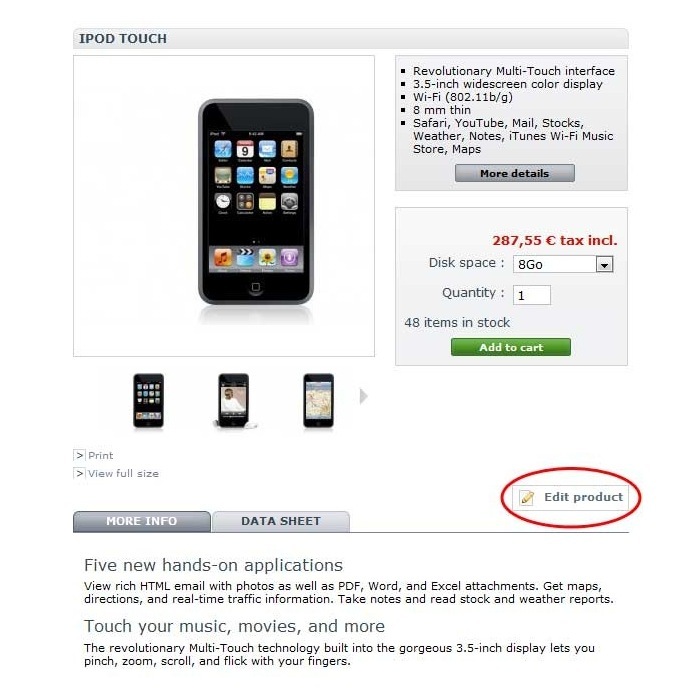 "Edit product" link should appear in your presentation view right under each one product.